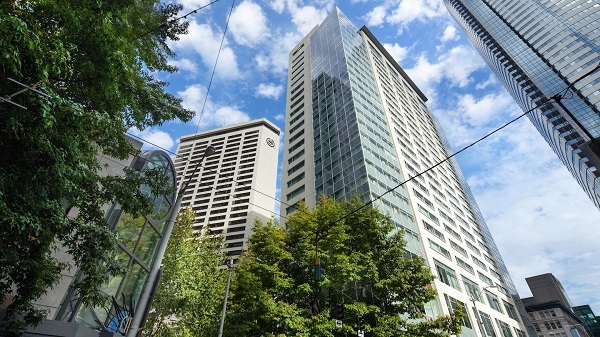 Get ready to stay in the newly renovated, Four Diamond Sheraton Grand Seattle! Check-in is at 3 PM and Check-out is at 12 PM. On-site parking and valet parking are $57 per day. If you’re a member of the SPG & Marriott rewards program, you can earn points by including your account number in your reservation with Expovision. To learn more about the event, visit aphameeting.pharmacist.com. The deadline to book your hotel room is February 25, 2019. After this date, rates may increase. Book your room in the official room block for an exclusive rate only offered through Expovision, the Official APhA Hotel Reservation Office. Rates start at just $235 per night (single or double room) and include complimentary in-room Wi-Fi. Triple bed guest rooms are $260 and quad bed guest rooms are $285. You can book online or call us toll free at (888) 876-2742. Suites are also available, but availability is limited. There are plenty of dining options at the Sheraton Grand Seattle (see below). There is also the Daily Grill restaurant & bar that serves American cuisine in a casual setting for breakfast, lunch and dinner. The upscale French restaurant, Loulay Kitchen & Bar, requires reservations. It’s open for lunch and dinner and the dress code is smart casual. Expovision is the official APhA Hotel Reservation Office. If you’ve been contacted by a hotel scammer, please report them to aphahotels@expovision.com. Please note: Rates are as 11/28 /18 of and are subject to change until booked.